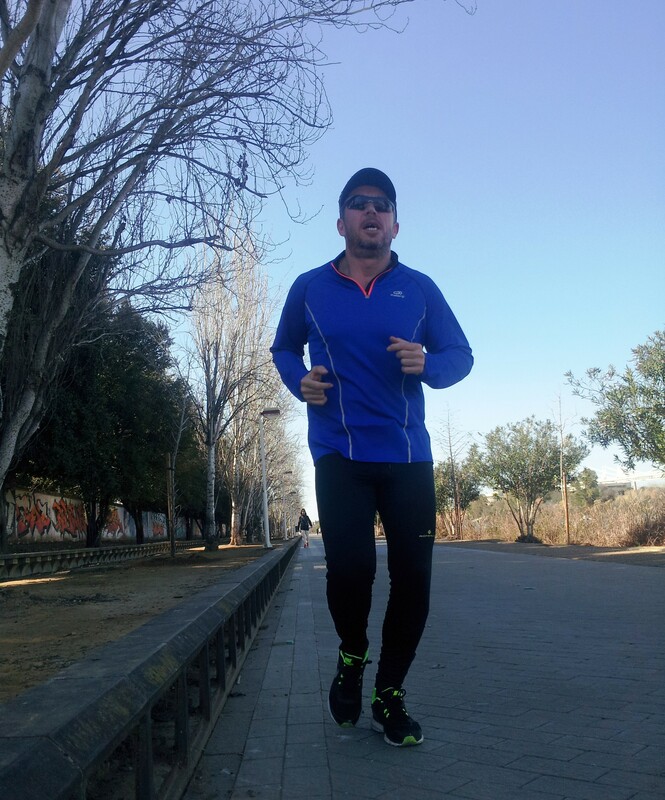 It was a short run from our hotel to the riverside at Puenta de la Barqueta. Here we took the lower riverside path, Calle Rey Juan Carlos I, and started our slow run along the eastern bank. Passing under the first bridge we reached, as we couldn’t find any access there to cross, we ran on ahead to the next bridge, Puente Cristo de la Expiracion, with its sail-like awning, where there were steps to access the bridge to cross. Running along the western bank of the river there were good views across to the city centre and of the most picturesque bridge, Puente Isabel II. 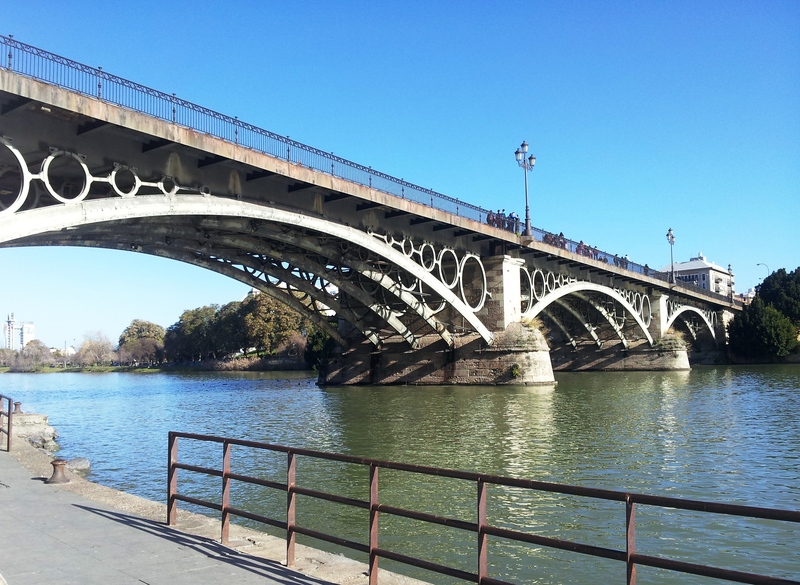 From this bridge, Calle Betis in the Triana neighbourhood begins. It’s a pretty stretch lined with orange trees and bars/restaurants – a nice place to dine in the evenings outside of the city centre. At the end of Calle Betis was Puente de San Telmo which we used to return to the other side. Before crossing we took in the views of Torre del Oro and the bull ring. 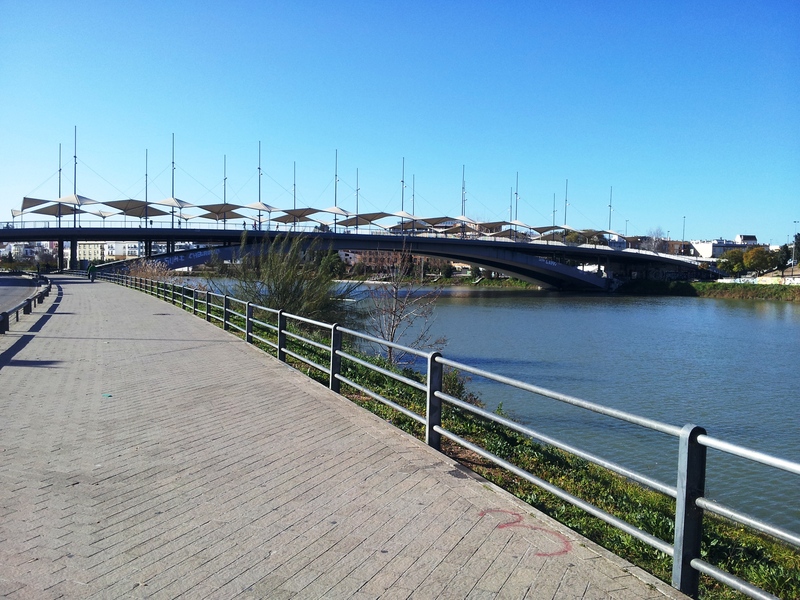 There is a park bench halfway along this bridge which would be a nice place to take a breather and enjoy the views out over the Guadalquivir. Back on the city side, we ran down the cobblestone ramp to Paseo Alcalde Marques del Contadero and started our run back to the hotel. 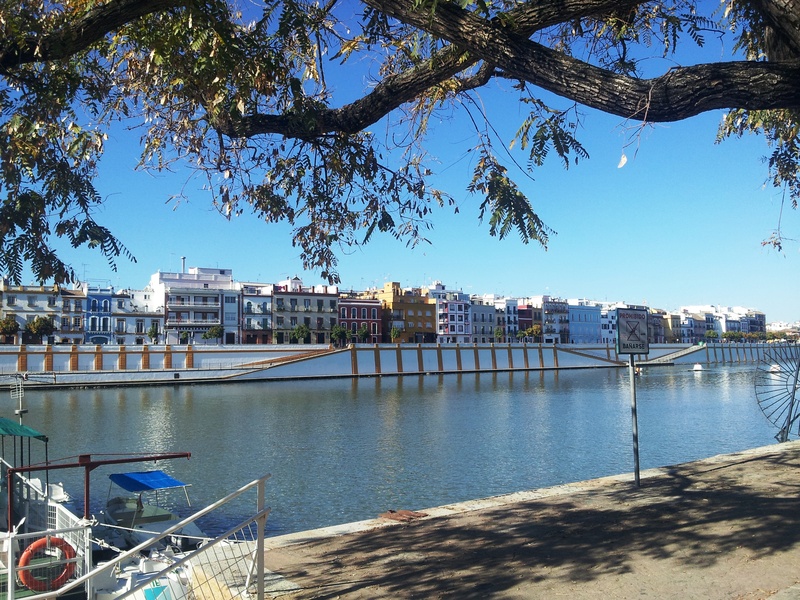 From this path there is a lovely view across to Calle Betis and its whitewashed wall and colourful buildings. All the while Dano was hobbling along with the occasional groan when negotiating steps; a rare occasion where he was not leading when we run together! We don’t usually do any running other than the actual race when we travel to races but this is going to become a new thing – a good way to kickstart the recovery and see some more sights. What’s been your favourite city run when on holiday?